Kris truly enjoys serving and helping people through his knowledge of medicine. Fishtown Pharmacy offers nutritional counseling, holistic and traditional medicine, vitamins, supplements and more. If you have a dog or cat, Kris will help your animal too. Veterinary compounding is a specialty at the pharmacy. If you can’t make it to the store, your medicine can be delivered. Whatever you could need from a pharmacy, Kris has you covered. 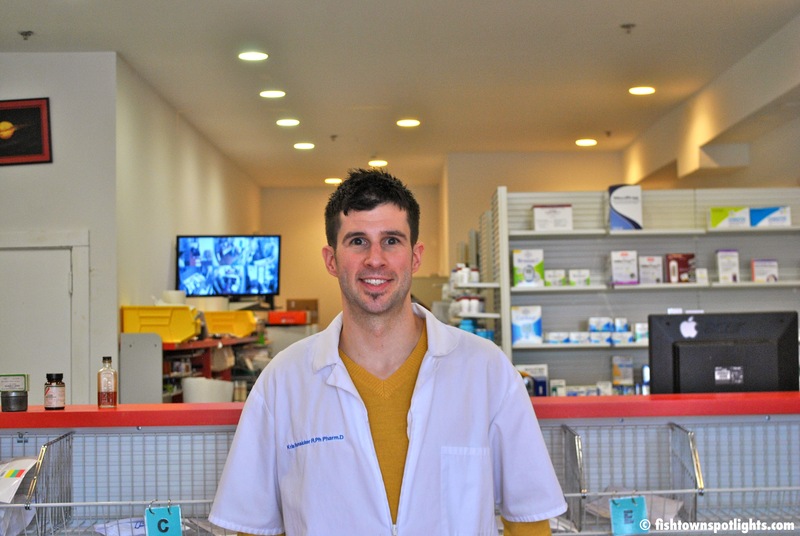 “Service, service, service,” is the Fishtown Pharmacy mantra he told me. As you’ll see in our interview, customer experience here is all about compassion and individualized care. 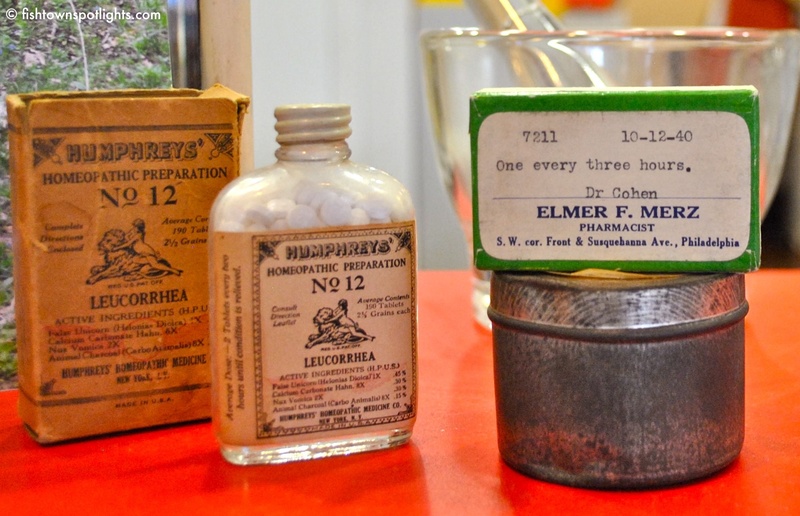 How did Fishtown Pharmacy start? I went to pharmacy school at University of the Sciences in the late 90’s, graduated, and took a job at the ShopRite in Port Richmond. I worked ten years there, and my wife and I had a baby on the way. I had always wanted to open my own store and always saw myself as being my own boss. At that time in my life, before my son was born, I took a “now or never” moment. I knew that if I was going to open up my own business, I had to do it then. Why did you choose Fishtown as the location of your business? As my family and I started the process and looked at surrounding neighborhoods in Port Richmond, we realized we had a huge personal attachment to Fishtown. It was the neighborhood we loved most, and we felt like we would fit in here more than anywhere. In retrospect, it’s a decision that turned out better than we could’ve ever imagined. The neighborhood has been so embracing. From the day we’ve opened, it’s been everything I could’ve hoped for. The community is so focused on local people, local business and artisans. Everything I believe in and stand for is here. How did you first know you wanted to become a pharmacist? When I was 15 years old, my aunt gave me some old pharmacy relics, which fascinated me. Her daughter, my cousin, went to pharmacy school. I had always looked up to her and really admired her job as a pharmacist. I saw myself in retail from the get go, as opposed to being behind a desk or in a hospital. Social interaction is something I really love about this job. What is the most satisfying part of being a pharmacist? Helping people. It sounds so simple, but it really is just that. We like to say, “We don’t have any customers. We only have patients.” It’s sort of counterintuitive, but seeing someone get off of medicine is the peak achievement for a pharmacist. That concept gets lost in a lot of pharmacies where you find cigarettes, soda, candy—things that are addictive and adverse to health. Some people go into a CVS seeking to get better, but some people go there seeking sickness. If you can bridge that gap for people and help them steer towards a more healthy lifestyle, you’re doing your job. That’s definitely what gives me the most satisfaction—helping people and seeing them get better. 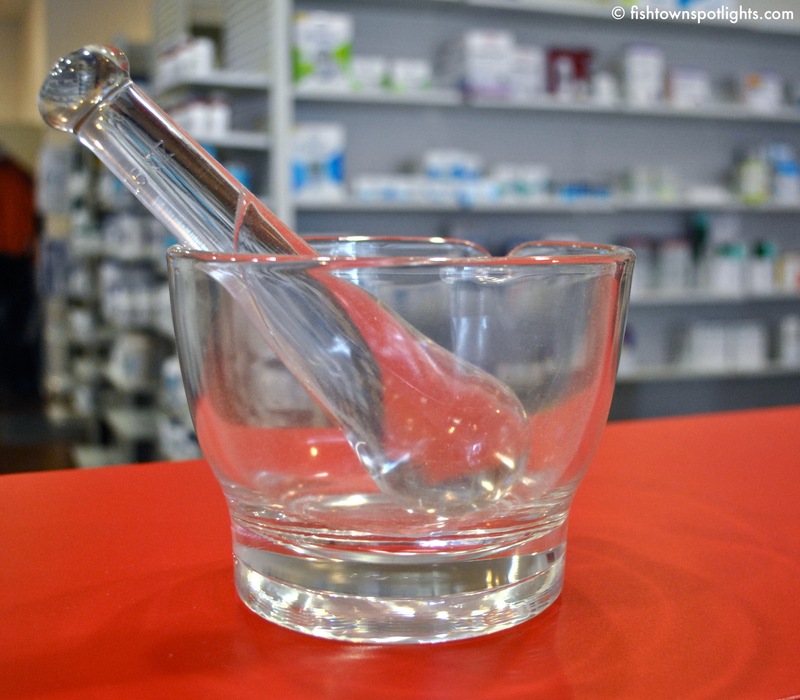 What advantages do independent pharmacies have over their corporate counterparts? The personal aspect. We’re on a first-name basis with 98 or 99% of returning customers. When they come in, I know they’re name and they know mine. It’s sort of a “Cheers” atmosphere. I think that’s comforting to people and makes it easier for them to ask questions. It’s almost like you become part of their family, which is really endearing. Timing is another element. No one wants to wait when they’re sick. We try and stick to under five minutes for our wait times. I feel like if you can’t get the script out in a reasonable amount of time, it’s time to hire more technicians. We pride ourselves on a timely and friendly service. 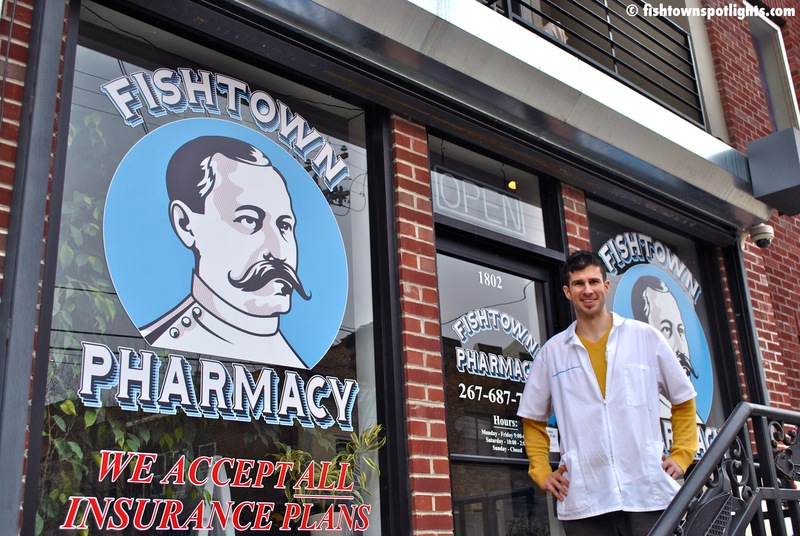 What’s the story behind the Fishtown Pharmacy logo? It stands for who we are. We wanted a logo that brought an old school, neighborhood pharmacy feel, like an old soda shoppe or soda fountain store. Every now and then someone will come in and say, “I thought you were a barbershop!” I think when people get a feel for who we are, the logo makes more sense. We always say we’re trying to bring pharmacy back to its roots, back to when a big part of it was about human interaction. Describe your experience as a business owner in Fishtown. I keep seeing positive changes. There’s always an interesting new business or shop opening, one that I end up walking in and out of and regularly patronizing. The only thing that stays the same here is the reception of the people. For example, the first time I went into the Philly Brewing Company I forgot my wallet. An employee there said, “Don’t worry about it. You can pay me next time.” I immediately thought, “I’ve never even been here before!” That’s the standard in the neighborhood. As long as everyone keeps doing their part, all you can do is hope to see that continue. Professionally, this has been the best experience of my life. It’s been rewarding on levels that have nothing to do with financial success. My family and I have found a personal happiness here. Fishtown Pharmacy is located at 1802 Frankford Avenue in Philadelphia. Go to the Fishtown Pharmacy website to learn more. See more Fishtown Spotlights interviews and articles. Like Fishtown Spotlights on Facebook. Follow Fishtown Spotlights on Twitter. Follow Fishtown Spotlights on Instagram. © Steven Sparber and Fishtown Spotlights, 2014. All rights reserved. This entry was posted in Categories, Shops & Services and tagged fishtown, Fishtown Pharmacy, Frankford Avenue, Kris Hunsicker, neighborhood business, Philadelphia Brewing Company by fishtownspotlights. Bookmark the permalink.